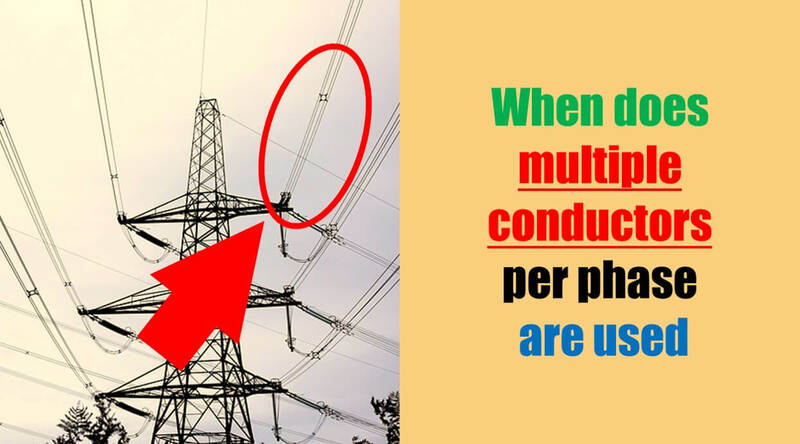 Question: When and Why do multiple conductors per phase are used in the transmission lines? Answer: Multiple conductors are used when transmission voltages are above 345 kV. Technically the term bundled conductors are used for representing two, three or more conductors per phase. Generally, two, three, or four conductors are used for 345, 500, and 765 kV lines. In case of EHV voltages of or higher than 1000, 8, 12, 16 or even higher conductors are used. Bundled conductors provide a large number of benefits with the major one being increased critical voltage for corona formation which in turn reduces corona losses. Alongside this, they also reduce Inductive reactance and radio interferences.